OneView Interactive Voice Response Solution provides self-service functionality through a flexible and modular platform that makes it easier for your customers to access information and carries out transactions. The open standards-based architecture makes it very easy to customize self-service channel and integrate with other data sources, networks and live agents. 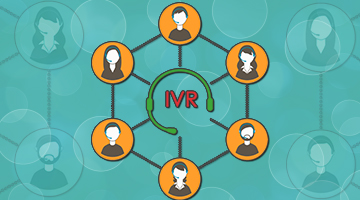 OneView IVR is a future-safe platform for automated services that is being used by leading organizations to disseminate information in a wide variety of topics including product-specific information, technical support, general guidelines, notifications and announcements. It can easily integrate with your local and wide area network and connect with a wide variety of data host and operating systems to offer account specific information such as account balance, due date, other inquiries, etc. OneView interactive voice response system comes with a powerful system administration tool that lets you setup menus and submenus, add and update voice recordings by using standard telephone set. It also includes document conversion software that you can use to convert your windows (MS word, PageMaker, Excel, etc) documents.